CES has extensive experience with low and moderate income housing, senior age-restricted projects and assisted living facilities. 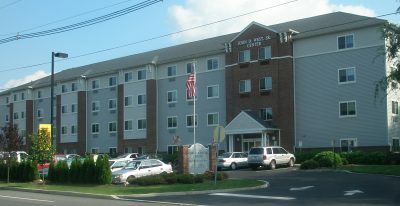 Ethel Lawrence Homes – Mount Laurel, Burlington County, NJ – This is the project that led to the Mt. Laurel decision. It includes 140 units of townhomes and apartments managed by Fair Share Housing Development. 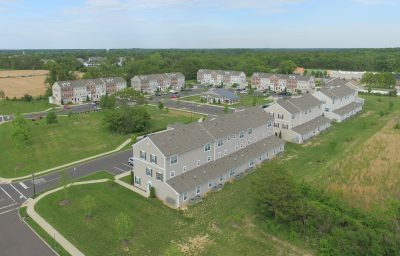 The Oaks at Weatherby – Woolwich, Gloucester County, NJ – An 86 apartment low/mod development on 10.7 acres within the Weatherby section of Woolwich Township, the project has final approval from the Township. CES is perfecting the plans and obtaining permits at this time. Community Investment Strategies (CIS) is the builder and owner. The development consists of a private loop road (Oaks Drive) off of a new Township Road with 197 parking spaces for 86 units in eight buildings, a community center and tot lot within the center open space area. Public water and sewer is provided through Aqua NJ, and the project includes a pump station and a stormwater management basin. 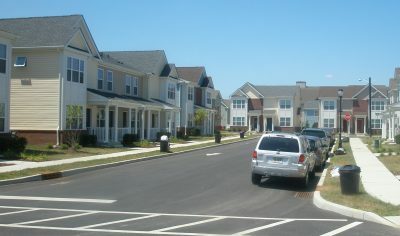 Chelton Terrace Apartments – Camden City, Camden County NJ – Developed in cooperation with the Camden City Housing Authority and Ingerman Development, this project consists of 187 residential units constructed in three phases. It required demolition of the existing units, reconstruction of several streets, and attention to adjacent railroad tracks. Bridgeton Hope VI Revitalization Project – City of Bridgeton, Cumberland County, NJ – This is a multi-phase project by Ingerman Development that consists of the construction of new twin and single units on multiple sites throughout Bridgeton. Phases I and II consist of 114 new units and a management building that were constructed in 2004.